I haven’t cooked anything since I was in Chiang Mai so during my ‘home’ weekend (I have organised my holidays so I am at home one weekend then away the next) I went to a Cambodian cookery class at Frizz restaurant. 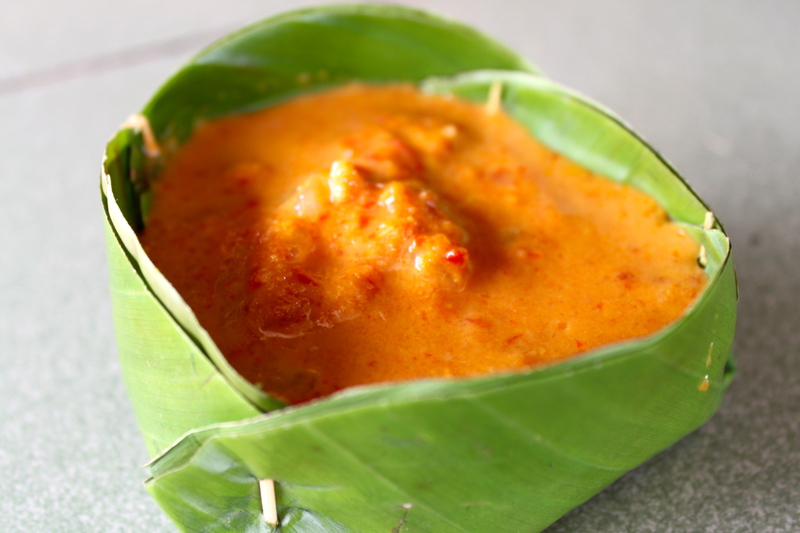 Cambodian food has some original dishes but a lot of it is very similar to Thai. The national dish is Amok, a curry, usually with fish, that is lemongrass based and fairly mild compared to other regional curries. 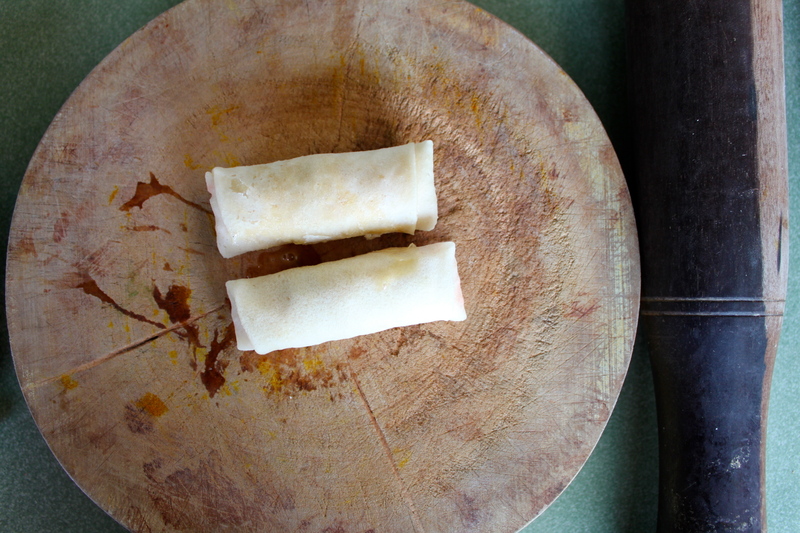 We started in the morning with the usual trip to the market for the ingredients (they have those dreadful pink eggs here too), before heading to the kitchen to make our starter – deep fried taro and carrot spring rolls. 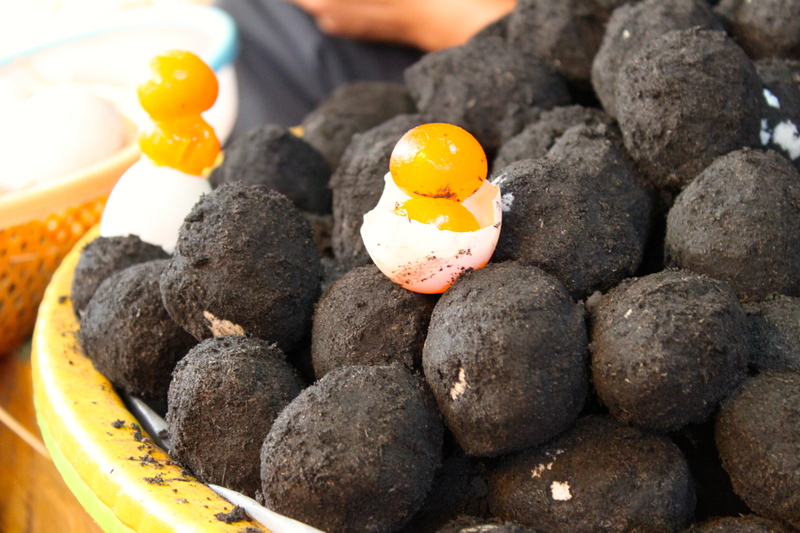 Yes these are eggs…don’t ask! Taro is similar to potato but it has a creamier flavour and is quite high maintenance in its preparation. After peeling we had to squeeze the hell out of it with salt three times to get all the water out before mixing with grated carrot. It was worth it in the end though! My favourite dish of the day was the Amok. We made our own lemongrass paste though took a shortcut by mixing it with a pre-made chilli paste. 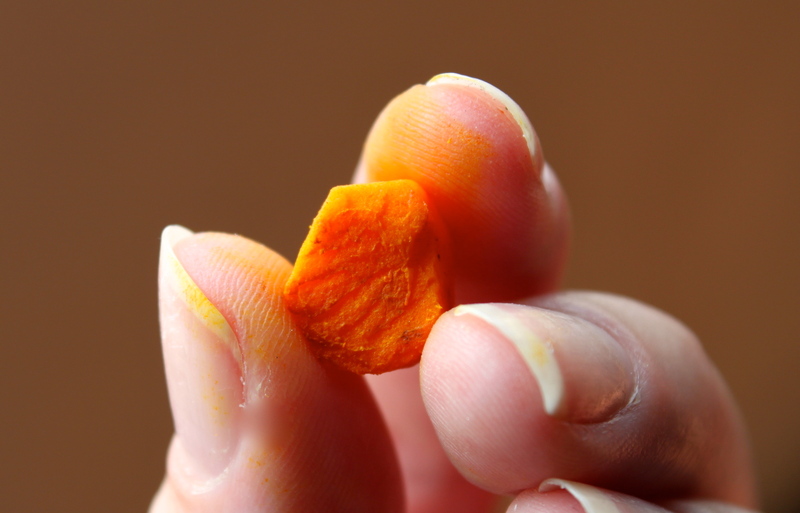 The main ingredients are lemongrass, fresh turmeric, garlic and shallot. The amount of chilli you add is optional but a good dollop of chilli gives the final dish a better colour. 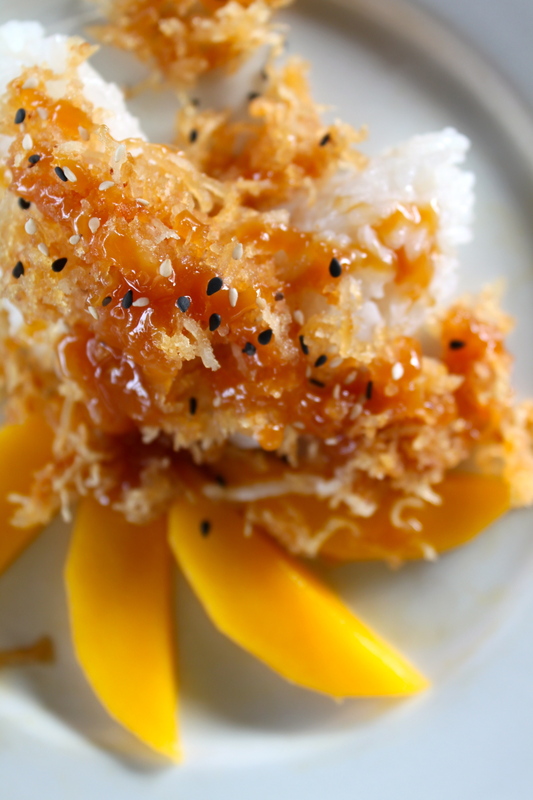 After adding coconut milk and thinly sliced catfish, the mixture is poured into a banana leaf bowl and steamed for 25 minutes. The teacher was very impressed with my banana leaf attempt -I didn’t mention I had done it a few times before! In the afternoon we made banana flower salad with chicken (ok) and sticky rice with banana and coconut milk (very nice). Phnom Penh has become a bit nippy in the last couple of weeks – it’s now dipped below 30C so I don’t sleep with the A/C on any more. 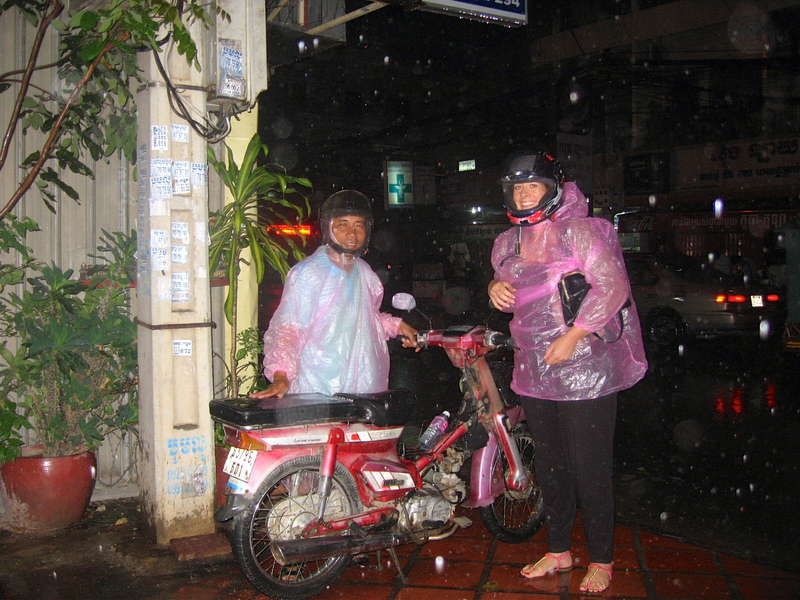 It was also raining quite a bit last week, but that didn’t stop party plans. Many of the friends I made when I arrived left last week as they were only here for a month so I was out most nights. The nightclubs are quite fun here but range from very posh (we were dancing with royalty on Monday night surrounded by bodyguards) to very dodgy with loads of old white men and teenage looking prostitutes. 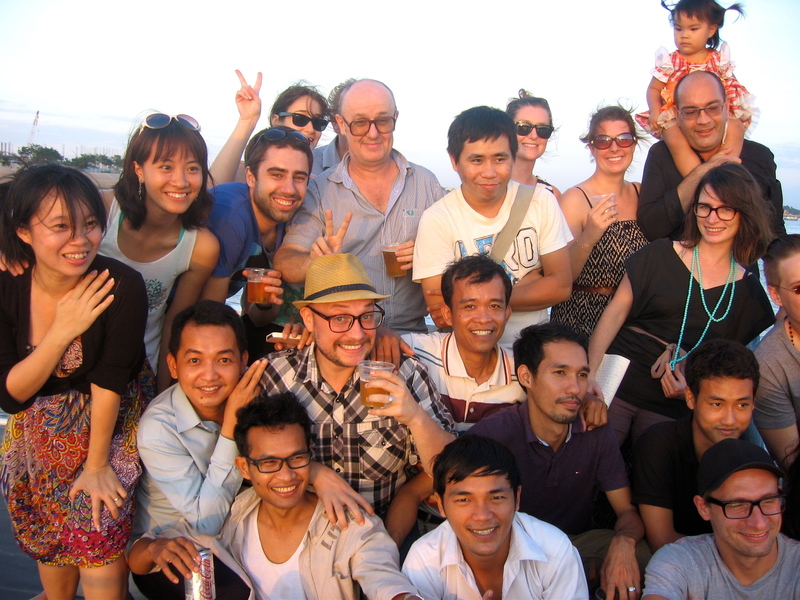 We also had our office Christmas party on Friday afternoon – a BBQ cruise down the Mekong. Very different to the usual 3-course Turkey dinner!